Multinational food, drink and alcohol companies are using strategies similar to those employed by the tobacco industry to undermine public health policies, health experts said on Tuesday (12 February). In an international analysis of involvement by so-called "unhealthy commodity" companies in health policy-making, researchers from Australia, Britain, Brazil and elsewhere said self-regulation was failing and it was time the industry was regulated more stringently from outside. The researchers said that through the aggressive marketing of ultra-processed food and drink, multinational companies were now major drivers of the world's growing epidemic of chronic diseases such as heart disease, cancer and diabetes. Writing in The Lancet medical journal, the researchers cited industry documents they said revealed how companies seek to shape health legislation and avoid regulation. This is done by "building financial and institutional relations" with health professionals, non-governmental organisations and health agencies, distorting research findings, and lobbying politicians to oppose health reforms, they said. They cited analysis of published research which found systematic bias from industry funding: articles sponsored exclusively by food and drinks companies were between four and eight times more likely to have conclusions that favoured the companies than those not sponsored by them. "Regulation, or the threat of regulation, is the only way to change these transnational corporations," wrote the researchers, led by Rob Moodie from the University of Melbourne in Australia. Ian Gilmore, special adviser on alcohol to Britain's Royal College of Physicians said the findings were "a final nail in the coffin" of the idea that involving the alcohol industry in public health measures could work. "Any government serious about public health should in future divorce its public health activities from industry involvement," Gilmore, who was not involved in study, said in a statement. 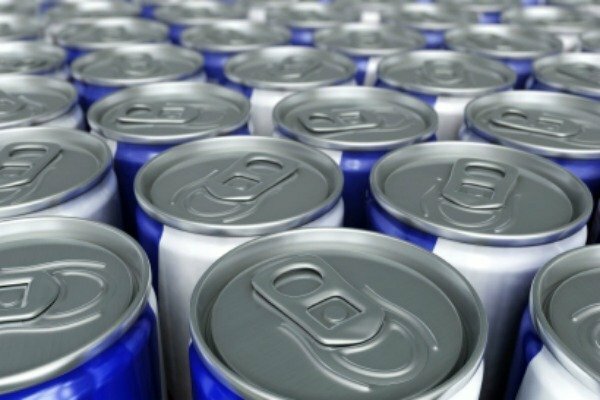 Responding to the study's criticisms, UNESDA, which represents the non-alcoholic drinks industry in Europe, said experts recognise obesity has many causes including diet, lack of exercise, genetics and lack of nutritional knowledge. It added that, within the EU, the European Commission had opted to take a "multi-stakeholder approach gathering governments, industry, the healthcare community and civil society to work together to teach people how to eat better, take more exercise and lead healthy, balanced lifestyles". The researchers said, however, that their evidence showed this collaborative approach had failed. They recommended that, in future, food, drinks and tobacco firms should have no role in national or international policies on chronic diseases. Instead, they proposed a system of "public regulation" which they said would focus on directly pressuring industry by "raising awareness of their shady practices and maintaining active public pressure". Simon Spillane is Senior Advisor at The Brewers of Europe, an association that represents the European brewing sector. Speaking to EURACTIV last year, he said it wasn't necessary to introduce stricter regulation within the EU as brewers have already committed themselves to comprehensive self-regulation that operates across all media. "There are self-regulatory codes and implementation guidelines covering beer advertising in place across the EU, at regional, national and company level," Spillane said. "All these codes prohibit the targeting of minors under the legal purchasing age with any advertising for beer. This means that neither will the advert’s content be targeted at minors, nor will the advert appear, for example, during a children’s TV programme or in a magazine for adolescents," he stated. The European Parliament has renewed calls last year to curb food and beverage advertising aimed at children and young people, with some MEPs even calling for a total ban on beer commercials aimed at youth. At issue is whether the food and beverage industry can effectively regulate its own advertising practices. UNESDA, the European non-alcoholic beverages association said they were aware of their appeal to young people and children and have already committed in 2006 to refrain from advertising to children under 12 on TV, print, online or social media.